If you've got an Android device, outside of a few exceptions, the odds are that it's powered by an ARM processor. Companies like Qualcomm, Apple, and Samsung license the company's tech, so when ARM improves something, we all benefit. Today ARM is announcing some new display technologies which the company alleges can deliver an HDR experience on any screen, while providing increased power savings and performance for applications such as VR. In all, ARM is announcing three new bits of technology based on the "Komeda" architecture—itself based on the earlier Cetus. The new display solution is composed of the Mali D-71 display processor, CoreLink MMU-600, and Assertive Display 5. The most interesting bits, though, are the new display processor and Assertive Display 5 tech. 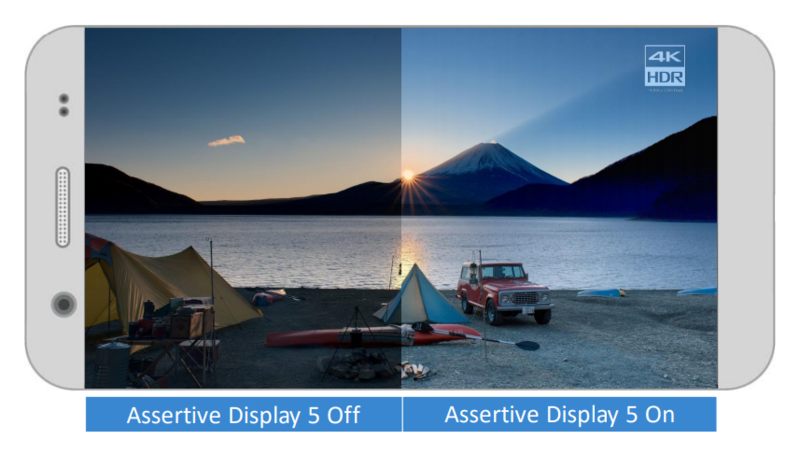 ARM alleges that Assertive Display 5 can produce HDR content even on an SDR display. We'll have to wait and see how it actually performs, but that's a high promise. It also supports HDR10 and HLG (hybrid log-gamma, another HDR tech). Assertive Display 5 also has a few other cool features, like night mode/blue light filtering in-hardware. And, like its predecessor, it can perform ambient light compensation, improving visibility in sunlight while saving power, all without touching the actual GPU. The new Mali D-71 display processor can also do a few other things to further reduce the work required by the GPU. Among other things, it can handle window composition for up to 8 layers, as well as some scaling and image processing. It's optimized for 4K 120fps operations, making it an ideal candidate for VR applications. Combined with the CoreLink MMU-600, ARM claims that it's both smaller and faster, saving space on the die even as it reduces both power consumption and latency. If you're interested in the full technical details for the entire new display solution lineup, you can read up on all of ARM's details for the Mali-D71, CoreLink MMU-600, and Assertive Display 5.